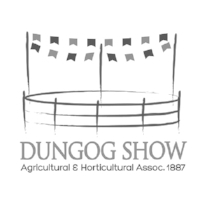 The Dungog Show provides a great platform for business to make immediate sales, launch new products, generate leads, develop a database and create new customer relationships. Market Stall and Trade Exhibitor applications are open for 2017. To apply, please complete the application form. If you have questions, please call Owen Nicholson, Show Secretary on 0428 179 717. Your application will be processed once payment has been received. Please post your cheque to: Dungog A&H Association, PO Box 72, Dungog NSW 2420. Dungog Agricultural and Horticultural Association Inc. BSB 646000, Account Number 100062623 using your BusinessName TSpace as the reference.